Click Configuration in the right dropdown to edit parameters like max width and height, allowed file format, and so on. 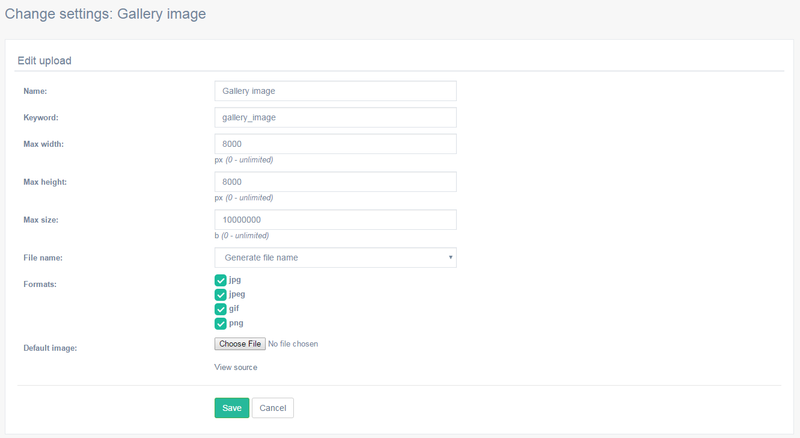 Example: editing parameters of gallery images. Click Thumbnail to create and edit thumbnails for the selected category. 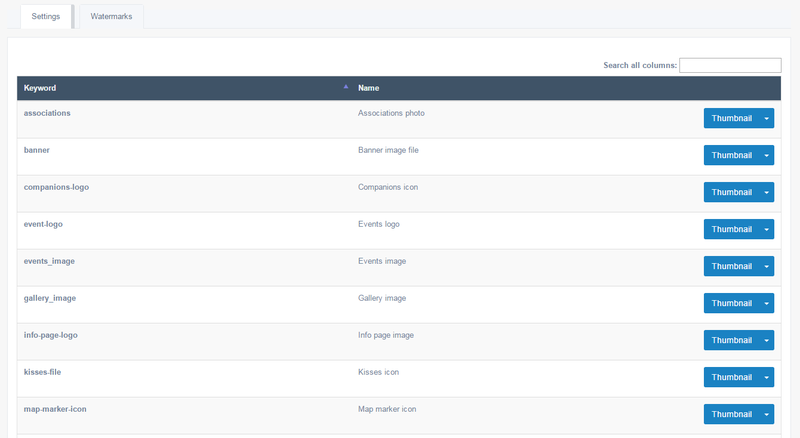 When an image is uploaded, the system will make necessary service pictures for various purposes (like search results images).